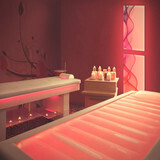 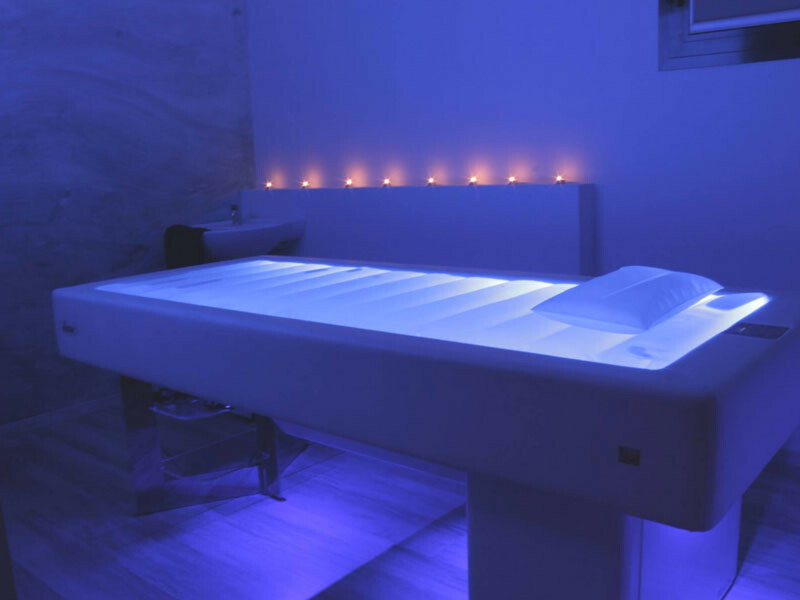 The massage bed Senso maximizes the earning power of the cabin thanks to its various fields of application. 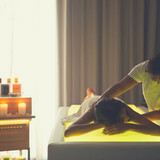 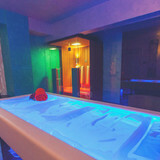 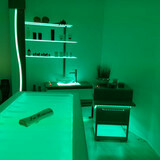 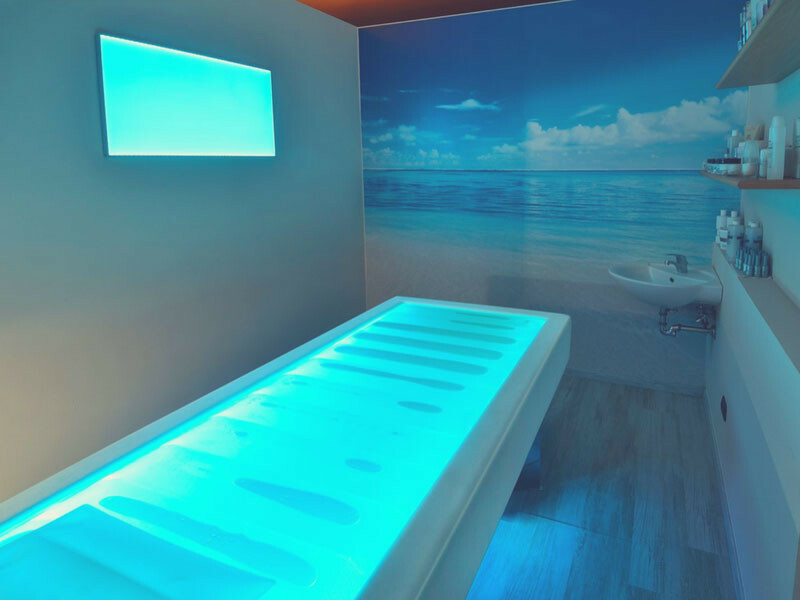 The customer is enveloped in the beneficial embrace of warm water that encourages physical and mental relaxation. 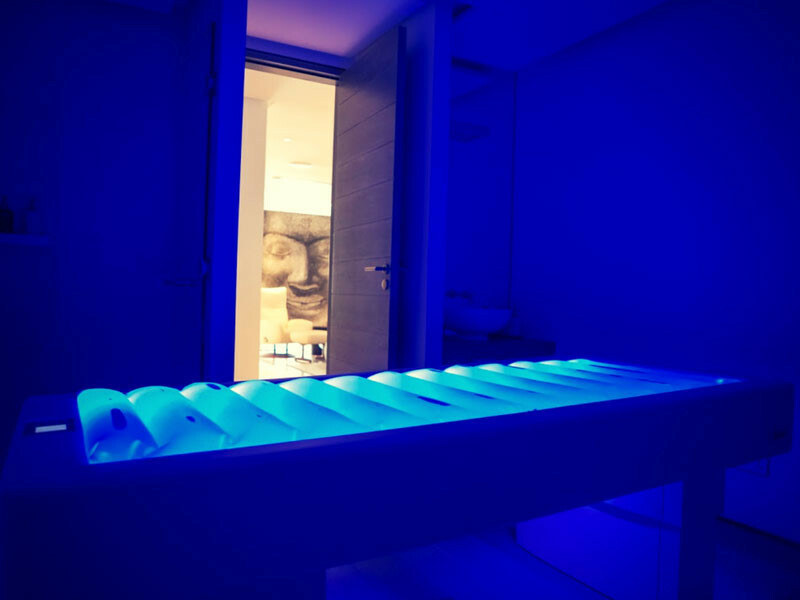 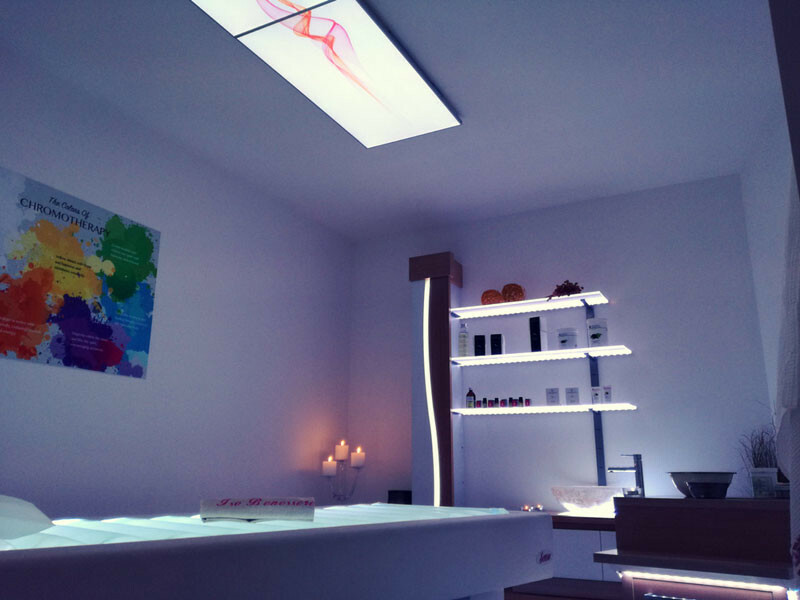 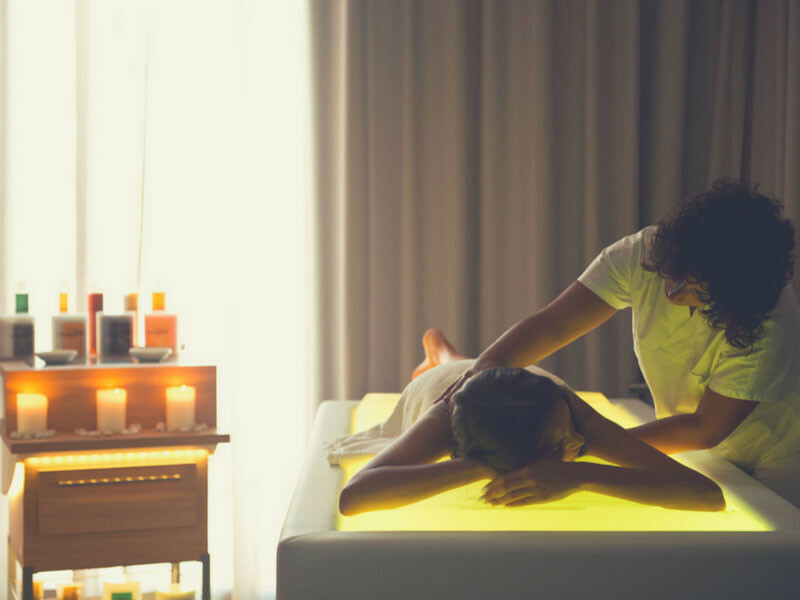 Thanks to a method specially designed by ISO Italia Group, by following a cognitive approach to chromotherapy, the beautician identifies the dominant colour and the calming colour, in order to carry out a regenerating massage for the body and a re-energizing light for the mind. 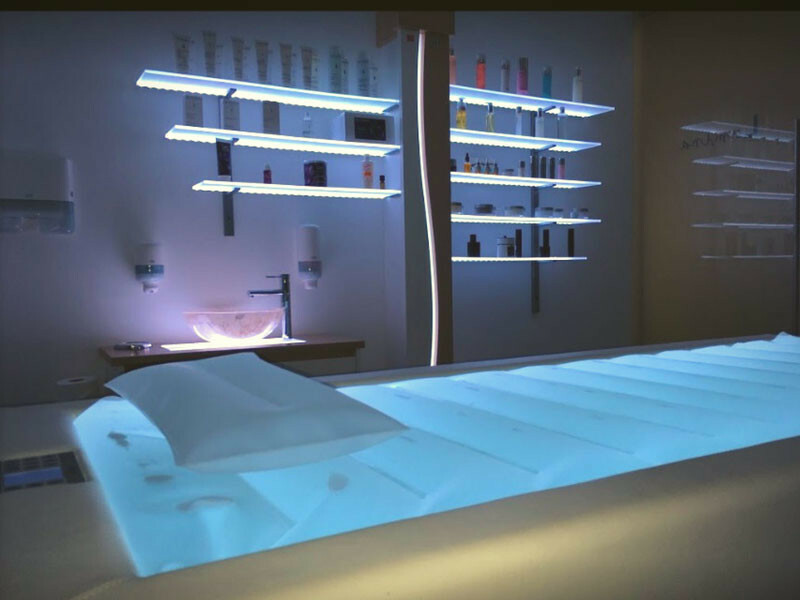 The mattress in anti-allergy plastic material contains communicating compartments designed to reduce as far as possible the wave effect, leaving only the sensation of being gently cradled by the water. 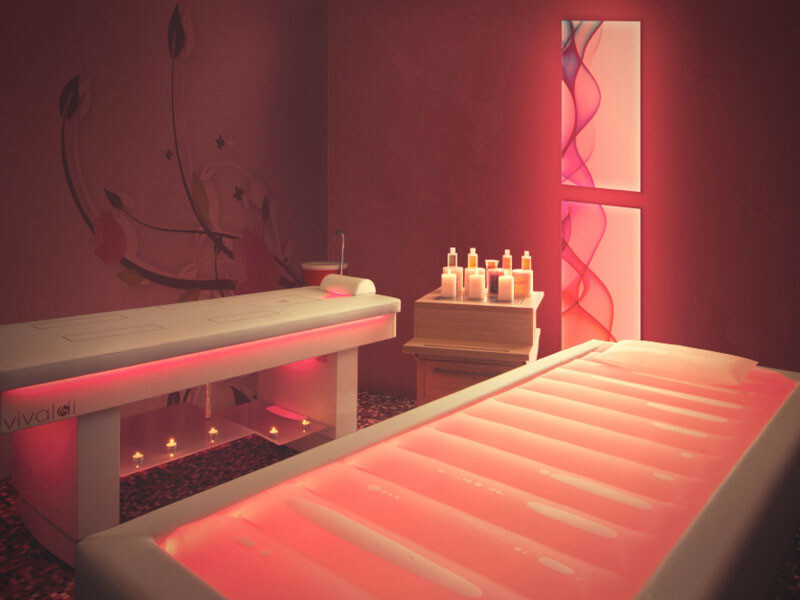 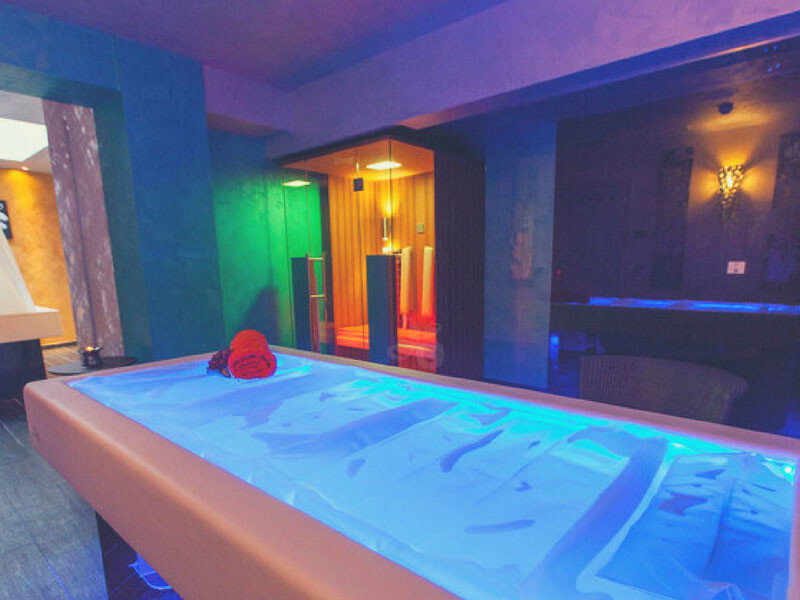 The water temperature is electronically controlled at preset values and monitored by the operator using a remote control to activate the toning, relaxation and slimming programmes. 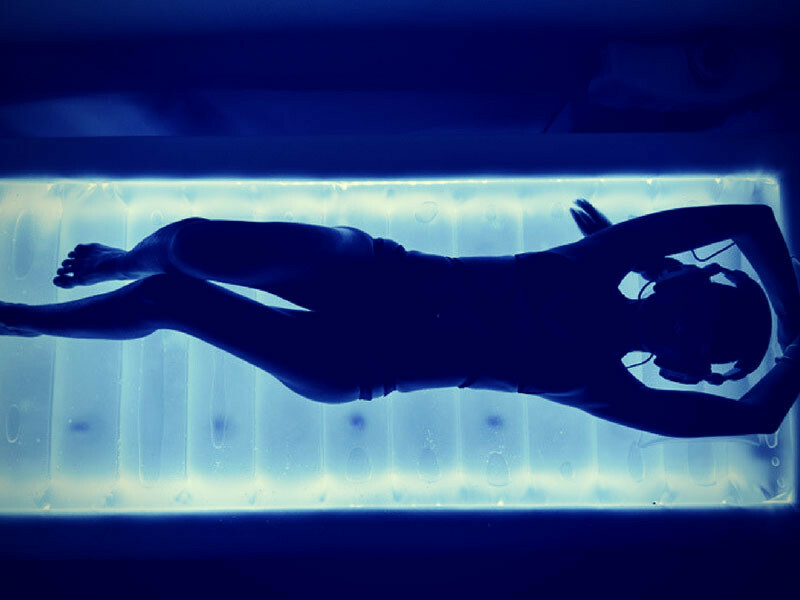 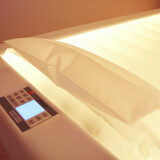 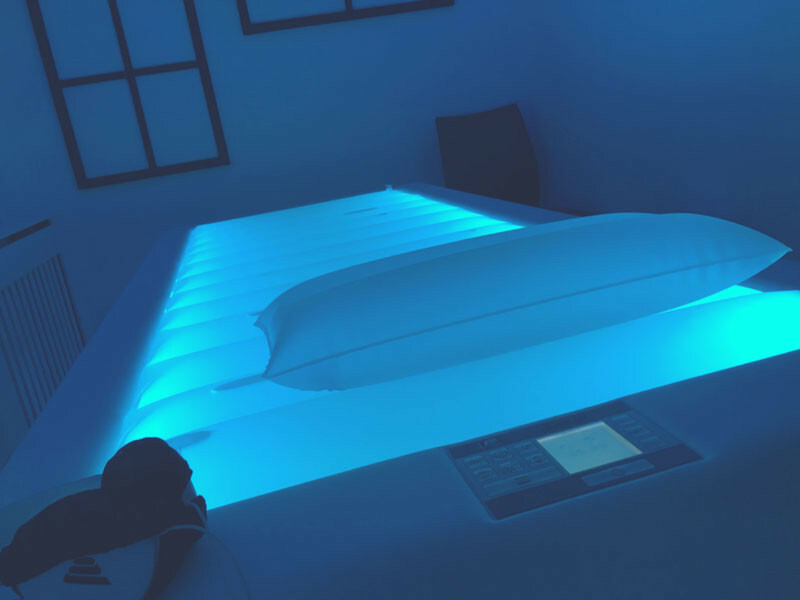 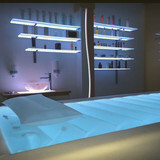 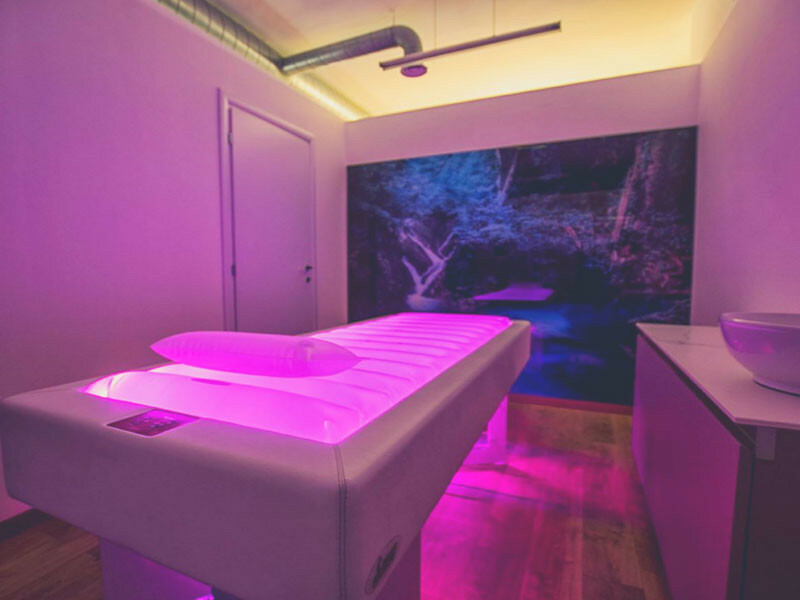 The powered lighting colour therapy is evenly distributed throughout the mattress using water as a light diffuser. 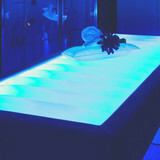 Lighting creates light points from under the bed to the floor. 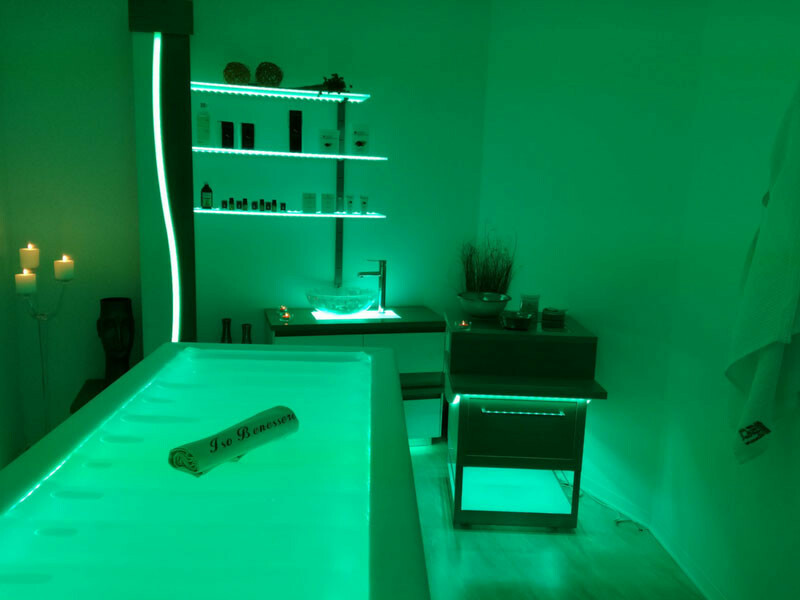 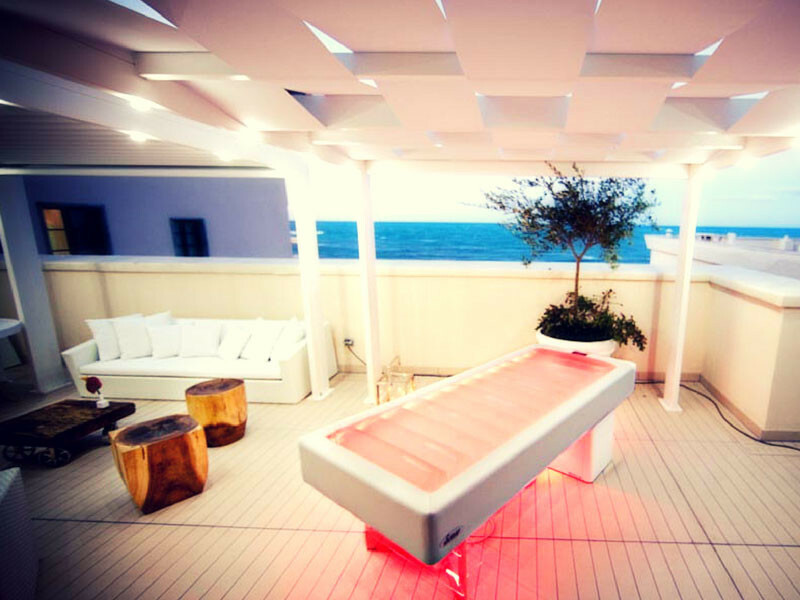 Senso can also be equipped with an additional electronic control that regulates the 160W collagen neon lamps, which can be activated on demand. 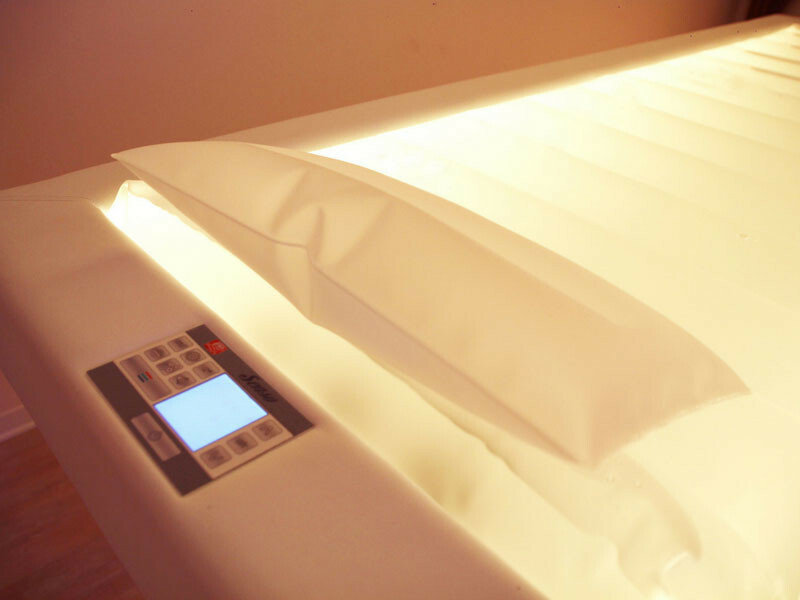 Massage bed Senso can be used in conjunction with SCIC, the collagen photobiostimulation panel, to boost its photo-rejuvenating function. 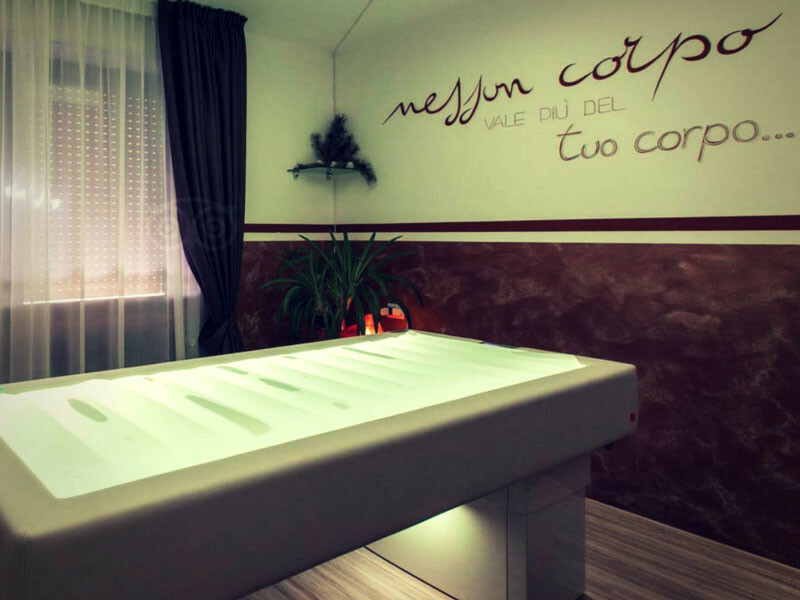 Available on request, especially directed jets of water, heat welded to the inside of the mattress offer a delightful massage during treatments. 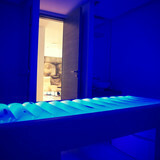 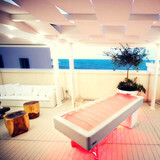 Massage bed Senso, the evolution of wellness. 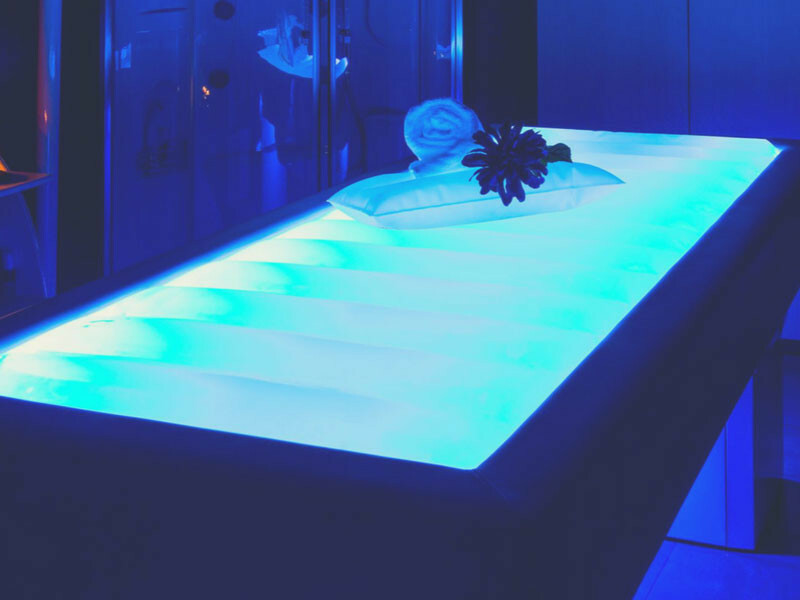 Multifunctional bed with water mattress, designed to reduce as far as possible the wave effect, leaving only the sensation of being gently cradled by the water. 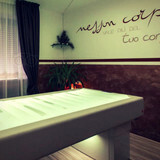 With optional like hydromassage and collagen function.